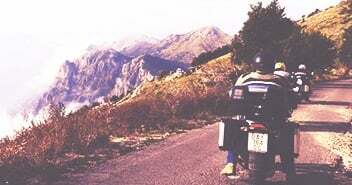 Motorcycle Rentals For Your Next Great RIDE Adventures Around the World! If renting a motorcycle is your preferred way to travel, you're not alone, and we have you covered! 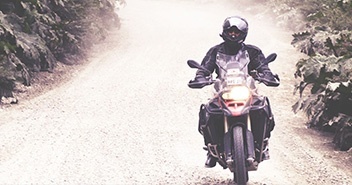 Plenty of riders prefer to just grab a bike and travel alone without being part of a Guided Group, and so we proudly support those of you who prefer this Self-Guided type of motorcycle travel. In addition to the pure rental options below, we also offer "Fly & RIDE" motorcycle packages where your motorcycle rental, a complete hotel package, and Road Book or GPS are all bundled together to make it easy for riders to just show up, and RIDE! Click the "Self Guided" section of our website to see a full listing of these options, and let us know anytime if you have questions or needs suggestions. 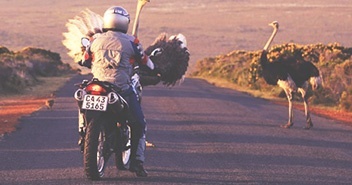 A primary reason why our services have become so popular is that we don't have any particular bias to the areas we offer motorcycle trips in. We've researched and ridden all of these routes already, and can attest to them all being excellent opportunities to RIDE! So when and where do you want to go? One of our experienced Staff members will help make your perfect riding plans a reality, just contact us to get things started. 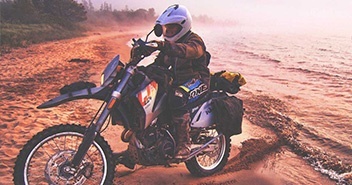 If you’re more of a “lone wolf” when it comes to motorcycle trips, or just have a couple of other riders to tour with instead of being part of a Guided Group Tour, we keep these motorcycle rental options available so that you don't need to worry about international shipping of your motorcycle. Also, if you'd like something more than just a "rental," have a look at our Self-Guided "Fly & RIDE" packages to have the motorcycle, all your hotels, and a Road Book or GPS options waiting for your arrival. Focus on the riding, instead of spending days on the internet researching! As always, renting a motorcycle from RIDE Adventures means you'll be riding a current motorcycle that has been properly inspected and maintained prior to your arrival. While the enjoyment of your travel experience is of the utmost importance, making sure you do so safely is of immeasurable importance to us as well!